Companion animals may present with a wide range of diseases affecting the liver. Treatment is likely to be based on a multimodal approach, involving medication, surgery, nutritional supplements and dietary modification. The goals of nutritional management are to maintain function in the remaining healthy tissue and prevent further clinical signs while providing sufficient nutrients to encourage regeneration. The authors review the range of conditions seen in canine and feline patients, together with their associated clinical signs and the specific nutrients that would be needed to support such patients. They note that several veterinary therapeutic diets are produced for patients with hepatic diseases. However, such products are often protein-restricted and may not be suitable for all patients. Dietary recommendations for patients with liver disease will depend on the precise aetiology and clinical signs and are therefore likely to be specific for that individual animal. Journal of the American Animal Hospital Association 52 (1): 1-7. Excess bodyweight in dogs may lead to a reduced lifespan, poorer quality of life and increased risk of various diseases, such as osteoarthritis. The authors conducted a trial in 19 client- owned dogs, combining dietary weight control with or without a physical training programme. After 12 weeks of a calorie-restricted diet, the mean weight loss was 13.9% in the diet plus exercise group and 12.9% in the diet-only group. Dual-energy x-ray absorptiometry showed that lean body mass was preserved in those dogs undergoing the exercise programme but was lost in the diet-only group. Journal of the American Veterinary Medical Association 248 (2): 174-182. Insulin resistance is a feature of equine metabolic syndrome, which can predispose otherwise healthy horses to laminitis. The authors investigated the effects of a docosahexaenoic acid-rich food supplement derived from micro-algae on experimentally induced insulin sensitivity in horses. The supplement was associated with improved plasma glucose and insulin concentrations and on estimates of insulin sensitivity. This product may therefore have a potential role in the management of naturally occurring insulin resistance in horses. American Journal of Veterinary Research 76 (10): 889-896. Feline hyperthyroidism was first described in 1979 and has since become one of the most common endocrine disorders in cats. Many studies have sought to identify factors involved in the aetiology of the condition and nutrition, particularly tinned food, has been suggested as a possible cause. The authors conducted a critical review of evidence on the association between hyperthyroidism and diet. They note that the feline disease shows some similarities to toxic nodular goitre in human patients and it would seem to have a multifactorial origin but the role of diet remains unclear. Journal of Feline Medicine and Surgery 17 (10): 837-847. Cobalamin (vitamin B12) is an essential micronutrient required for the maintenance of normal physiological functions including nucleic acid synthesis, amino acid metabolism, intestinal epithelial function and haematopoiesis. A juvenile Australian shepherd dog presented with a failure to grow, inappetence, non- regenerative anaemia, neutropaenia and cobalamin deficiency. Clinical signs resolved with supportive care and parenteral cobalamin supplementation. Similar treatment should be considered in other breeds susceptible to this gene defect such as border collies, beagles and giant schnauzers. Canadian Veterinary Journal 56 (10): 1,029-1,034. Automatic surveillance systems have the potential to improve monitoring of the health and productivity of dairy cattle. The authors examined an in-line system for analysing milk components in the milking parlour and compared levels of selected minor components in cattle receiving rations with different protein levels and digestibility. Associations were seen between certain metabolites and calculated energy parameters, body condition score and bodyweight gain. However, the results show that further parameters such as time of day and stage of lactation would also need to be included in the analysis. Journal of Dairy Research 83 (1): 12-19. Many different husbandry factors have been associated with the risk of recurrent episodes of colic in horses. The authors conducted a nested case-control study in an attempt to quantify the contribution of different factors to the development of recurrent colic in 127 horses in the north-west of England. Their results suggest that time spent at pasture may be important in reducing the risk of recurrent colic while feeding fruit and vegetables may lower the apparent risks associated with wind- sucking and crib-biting behaviour. Equine Veterinary Journal 47 (2): 202- 206. Acute diarrhoea is common in dogs housed in animal shelters due to changes in diet, stress and exposure to unfamiliar pathogens. The problem may often be managed by dietary manipulation. The authors investigated the impact of feeding two prescription diets with highly digestible protein and carbohydrate, together with low fat (Purina Canine EN and Hill’s prescription diet i/d) in 14 young shelter dogs with acute diarrhoea. 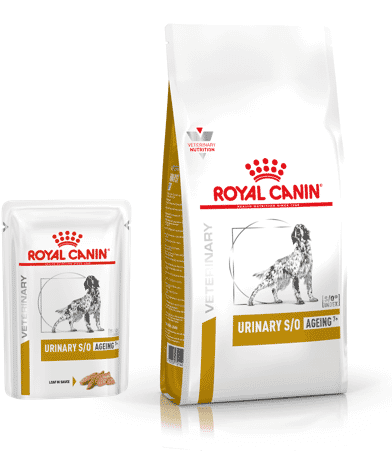 Both diets were found to be well-tolerated and effective in restoring normal stool consistency in these dogs. International Journal of Applied Research in Veterinary Medicine 13 (3): 199-206. Increased global feed prices and tighter regulations on the disposal of cattle manure have generated interest in reducing nitrogen levels in dairy diets. The authors examined the response to protein restriction during early lactation in 90 multiparous cows. Their results indicate that reduced protein levels have no detrimental effect on dry matter intake, total milk yield or yield of milk fat and protein. Equally, there were no detrimental effects on cow liveweight, lameness or on various indicators of fertility. Protein restriction led to a 45% reduction in milk urea and a 17% improvement in nitrogen utilisation. Cattle Practice 23 (2): 302. Australian pet food manufacturers are required to follow national standards on the composition and labelling of their products. 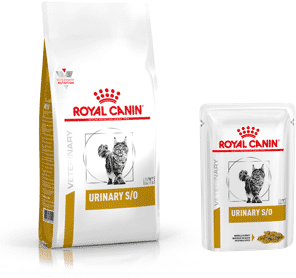 The authors examined 10 wet and 10 dry cat food products that were analysed to compare their composition with the label data. They found various deficiencies and excesses of crude protein, fat, fatty acid and amino acid levels were observed in the majority of the products tested. New labelling arrangements are needed to ensure that labelling information complies with current regulations and feline dietary requirements. Australian Veterinary Journal 94 (1/2): 12-17. Endurance activities such as hunting or long-distance sled races will cause significant changes to physiological variables in dogs, such as muscle glycogen levels. The ability to replenish those energy stores will determine the dog’s performance in subsequent exercise. The authors investigated the effects of a protein and carbohydrate-based snack bar immediately after intensive exercise. Dogs given bars containing 37.4% RDC (rapidly digestible carbohydrate) and 25% protein had increased blood levels of glycogen and protein synthesis markers when tested 15 and 60 minutes later. American Journal of Veterinary Research 76 (4): 338-350. Leaves of the tropical legumes, Gliricidia sepium and Guazuma ulmifolia, are often used as fodder crops by livestock farmers in Mexico. These crops are known to provide a useful source of protein but their nutritional characteristics are otherwise unknown. The authors investigated these species as alternatives to soyabean meal in the rations of growing lambs. They found that partial substitution of up to 50% of the soya content with G. ulmifolia resulted in a similar growth performance to the conventional ration. But the inclusion of G. sepium leaves had adverse effects on lamb growth. Tropical Animal Health and Production 48 (1): 133-137.